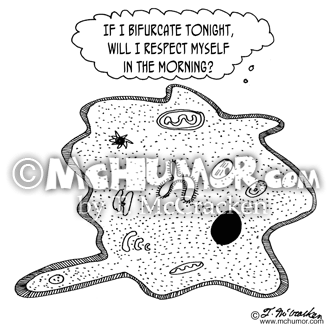 Relationship Cartoon 5171: An amoeba thinking, "If I bifurcate tonight, will I respect myself in the morning?" 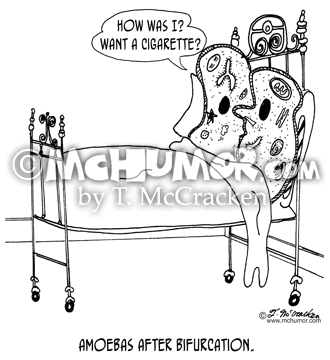 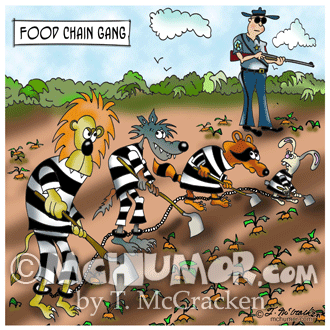 Biology cartoon 5016: "Amoebas After Bifurcation." 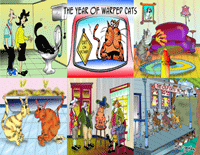 A cell in a bed asks another, "How was I? 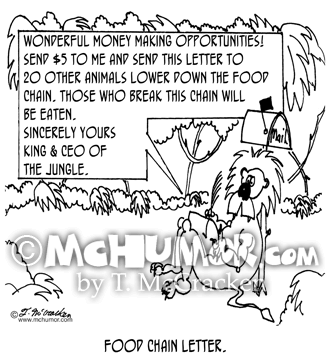 Want a cigarette?" 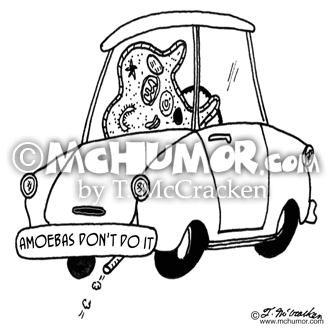 Biology Cartoon 5015: A large cell driving a car with a bumper sticker, "Amoebas don't do it." 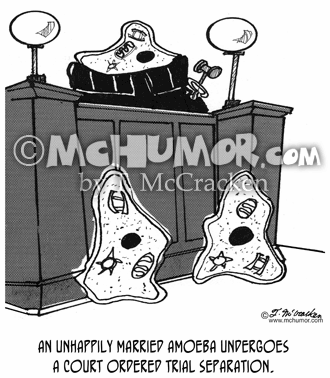 Amoeba Cartoon 1829: "An unhappily married amoeba undergoes a court ordered trial separation." 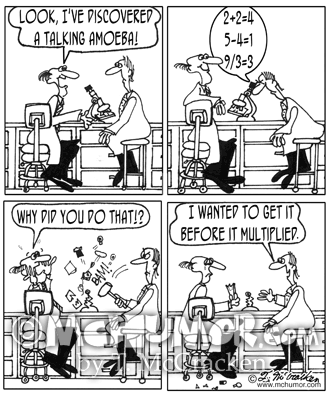 Amoebas stand before a judges bench. 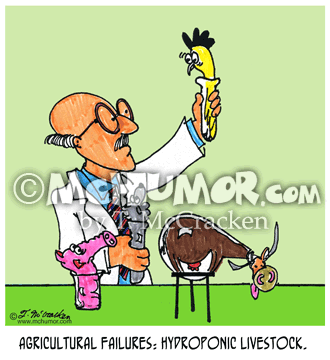 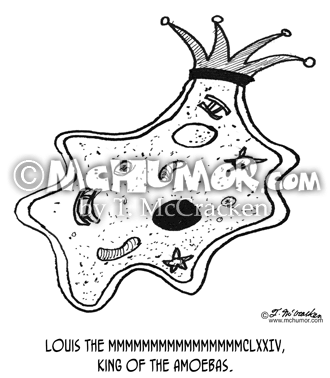 Biology Cartoon 6052: "McEctoplasm." 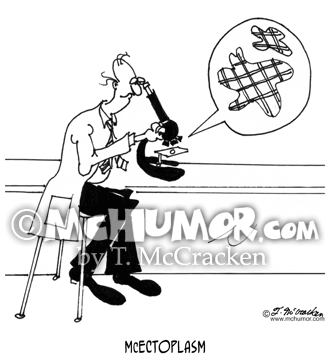 Ectoplasm on a microscope slide that's plaid.